Sailors with disabilities need specially designed boats and kayaks that augment sailors with increased stability, agility and mobility aboard a vessel. 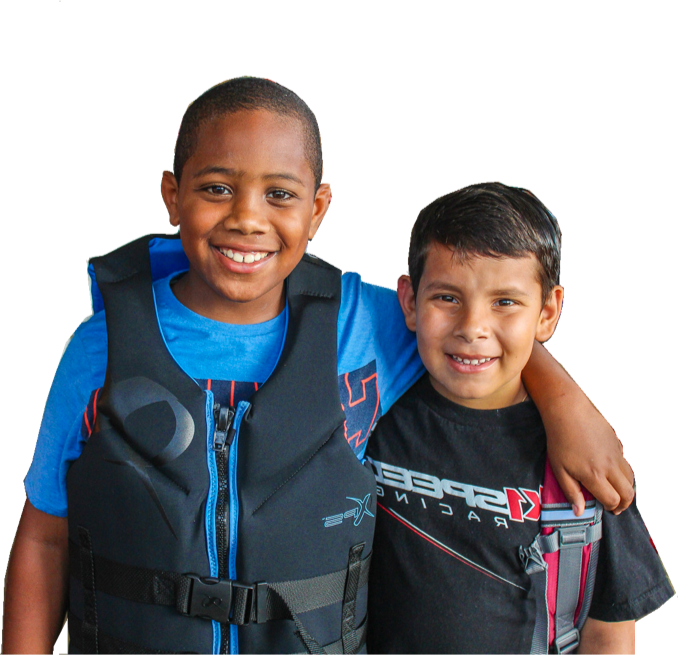 Shake-A-Leg Miami’s fleet of ten sailboats, thirty kayaks, and safety ships have been purposely designed and actively modified so that they may accommodate a wide range of disabilities. Our fleet has been steadily growing and now offers a variety of sailing experiences to people of all ages. We are looking for ways to grow our fleet and watersport activities. You may help expand our fleet by donating a boat or making a donation by using this form. This 20’ boat was specifically designed for people with disabilities and is what launched the Shake-A-Leg Miami Program in 1989. These 23’ keelboats were used as the paralympic sailing team boat. This 30’ Pontoon Boat is handicap accessible and takes out groups of up to 30 people for cruises on Biscayne Bay. The Shannon River Foundation has built an accessible replica of Ernest Hemingway’s boat “Pilar”. This flagship is primarily used for the Veterans Program for fishing charters. Hemingway was the Godfather of Sports fishing and was inspired by the vastness of the ocean, and empowered by the force of nature. Pilar’s Miami adventure was made possible by donations from Walter, Janet and Erin Schulz and their passion for boating and using it to improve the quality of life for a people with disabilities. Our fleet of safety boats accompany sailors and children on all their expeditions. The Impossible Dream is a universally accessible 60’ sailing catamaran that is fully operational by a person in a wheelchair. Thanks to the Woody Foundation, three Creating Abilities adaptive kayaks recently joined our fleet. Paddle sports can have many wonderful side effects including disability can be made to vanish. With proper support and equipment, a paddler with a disability can participate equally and independently with family, a spouse, or friends. Each kayak provides as much or as little support as the paddler needs. The fully outfitted kayak with the Creating Abilities Universal Seat and outrigger systems, providing the complete package to adapt to any paddler needing lateral stability. All of the components can be adjusted or removed individually, allowing for quick set up for a wide range of paddlers.